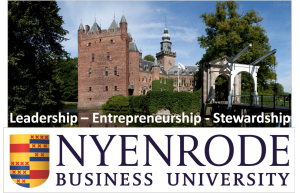 Early July, I had the opportunity to be part of a group of trainers for a full day workshop at Nyenrode Business University. The focus of the day was on so-called teal organizations and new ways of working, inspired by the book “Reinventing Organizations” by Frederic Laloux. The focus of my contribution to the workshop – of course – was all about purpose. Here’s my take on the book as well as some highlights from the workshop. The book starts with a description of different developmental stages of development for organizations. They range from reactive red through to evolutionary teal, with many steps in between. If you want to find out more about these stages, check out co-trainer Joost Wouters‘ summary on tealorganizations.org. During the workshop, participants compared the organization in which they work to their preferred development stage. From her deep understanding of Ken Wilber‘s Spiral Dynamics, co-trainer Wendy van der Klein expertly led this session. It made for interesting personal revelations and discussions in the group. And where the gap was the largest, this could be quite emotional. Key outtakes: understand what type of organization works best for you and make sure this matches where you work as much as possible. And don’t try to skip stages of development as you try to evolve an organization; there really is an order and logic to the stages. The bulk of the book goes into the structures, practices and cultures of teal organizations. The key pillars of teal (and Laloux’s book) are: self management, wholeness and evolutionary purpose. In preparing the course, we had quite some discussions on the order of these pillars. Different from the order in the book, I strongly felt that the purpose should be first. In the book it might be last, as it is the most difficult to implement and really requires senior level commitment to make it work. But as self management and wholeness cannot work without purpose, we decided to put that early in the workshop. As I always like to start from why and “preach”about purpose, I kicked off the purpose session in the workshop. Key takeouts from the purpose session were to put purpose first and to make sure you understand you personal purpose before trying to match it or create an organizational purpose. The session on self management was expertly led by Nicolas Chevrollier. He drove the point home that self management leads to better results faster by making us line up based on age – first led by an impromptu boss, then self managed. The results were staggering. The boss took nearly 3 minutes to get it done and there was one person in the wrong place. The self managed exercise helped us line up perfectly in under 30 seconds! In subgroups, the participants then helped each other find ways to get started with self management in their own organization. 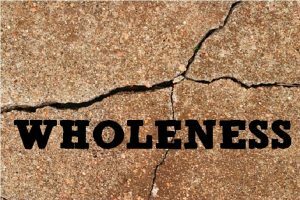 We did not have a separate session on wholeness during the workshop, but ran the workshop based on the principles of wholeness. We had a throughout check-in at the start, sharing in the group what we needed to let go of to get the most out of the day. The meditative walk in silence over lunch initially met resistance from some group members. Yet at the checkout session, silence and reflection turned out to be practices many of the participants will try to integrate into their busy lives. 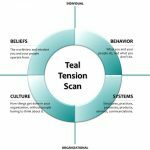 With the help of a Teal Tension Scan, co-trainer Joost Wouters supported the participants to think about tensions in their own team or organization. Throughout the day, everyone added thoughts and learnings to their own Planet Teal poster. At the end of the day, everyone went home with their own action plan for change. I had already learned a lot from the book. Preparing the workshop at Nyenrode Business University brought another level of depth to my understanding. And teaching the workshop to a group of brave leaders from very different organizations really inspired me. My passion in all of this is certainly all about purpose. 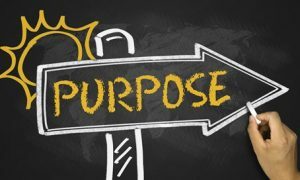 The “why” of purpose will continue to be the core of my services and personal mission. The book and the workshop certainly help me frame purpose in yet another way, by providing more thinking not just how to create it, but also to really make sure people in the organization can live it. Big thank you to my co-trainers Nicolas, Joost and Wendy – and to all the participants in the workshop. Check out Nicolas’ blog on the Nyenrode website to read a bit more about the workshop. Want more on Laloux’s work on “Reinventing Organizations”? Read the book, watch the video below and/or check out his website.